With the support of Korea Tourism Organization, BENIKEA hotels ensure your travel experience in Korea is always a pleasurable one. 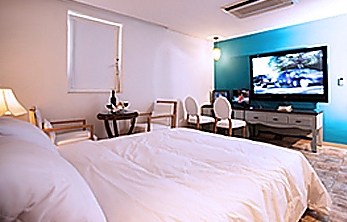 BENIKEA is a hotel chain in Korea, a portmanteau of the phrase "Best Night in Korea." BENIKEA is operated by Korea Tourism Organization (KTO) in association with the Ministry of Culture, Sports, and Tourism. BENIKEA aims to offer guests premium vacation accommodations at a reasonable price, serving both local and foreign travelers. BENIKEA hotels are located all across the country, from major metropolitan cities to charming rural towns. Each hotel offers unique features, from a convenient location, exciting nearby downtown area, or proximity to the airport to excellent ocean views, exciting hot springs, nearby ski resorts, and more. BENIKEA hotel reservations can be made through the BENIKEA website (www.benikea.com), which is available in 4 languages: Korean, English, Japanese, and Chinese. Reservations and inquiries can be submitted via phone at 82-2-1330: 24 hours a day, 365 days a year. Participating BENIKEA hotels offer the finest stay options for leisure and business travelers alike. Each property qualifies for membership only after exceeding the high evaluation standards set by the KTO. The screening process includes an independent inspection & approval process across a broad range of hospitality categories to maintain clean, comfortable and relaxing facilities. As tourism continues to boom in Korea, BENIKEA aims to increase the number of showcase properties available to choose from. BENIKEA hotels can fit almost any traveler's budget. 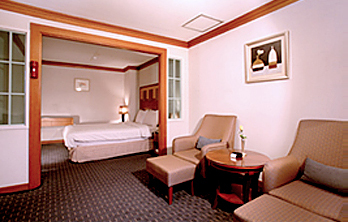 Room rates average below 100,000 won per night (off-peak, standard guestroom). An excellent choice for cost-conscious visitors that seek an economical option without sacrificing comfort. Service staff are familiar and experience in tending to needs of foreigners and also receive regular training from a KTO-developed program to guarantee superb quality. Guests can expect a consistent level of superior hospitality at any of the BENIKEA hotels. Participating BENIKEA hotels are found in major cities and tourist locations within the country, including Seoul, Busan, Gangwon and Jeju with newly-certified members joining every year. Their increasing popularity amongst a variety of travelers has led to newly-selected hotels for weekend vacationers. These include ocean-view coastal properties and getaway spots located nearby hot-springs and ski resorts . With many great places conveniently situated in downtown centers and close to transportation hubs or tourist districts, BENIKEA ensures you are likely to find a perfect near your destination.